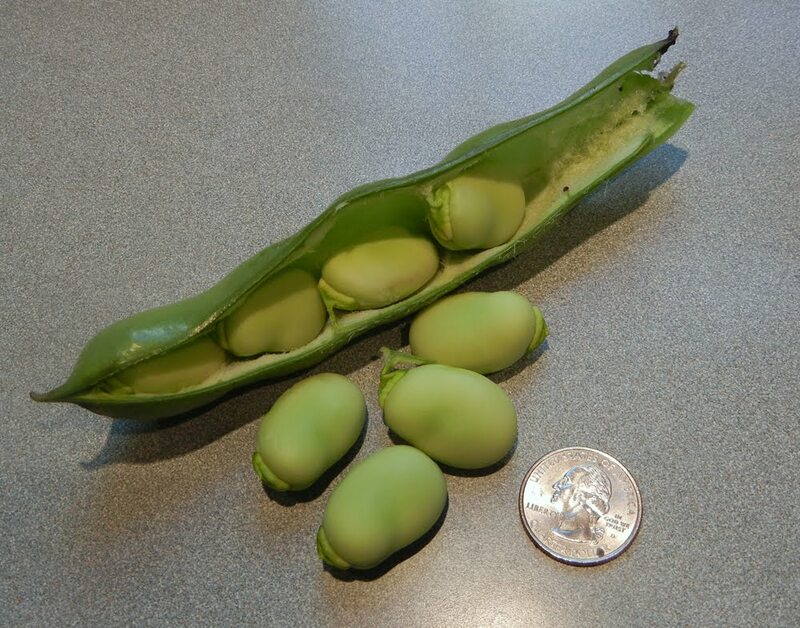 Today I decided to pick a couple of the largest pods from our Windsor Broad Bean or Fava Bean plants, Vicia faba. They’re getting big! I’ve never grown them before so I have no idea how long to let them grow. The first few I got were pretty undersized. The thickness of the pod is deceiving because it’s lined with a thick, spongy material. I’ll be blanching these and then peeling them before deciding what their final fate will be.